​Making the most out of any short visit to Amsterdam could be challenging, but the many modern and efficient options for travel make it easy and affordable to access the city today. Although Amsterdam may be famous for its Red Light District and unusual coffee shops, those attractions are just a small part of the city, and there are far more things to do and see in and around Amsterdam and Northern Holland today. 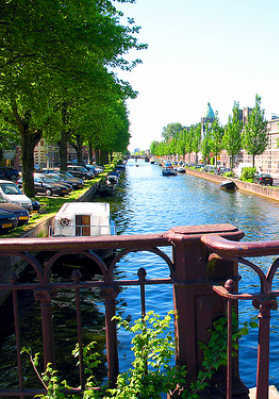 Featuring miles of canals and bike routes, Amsterdam is probably best explored by boat, foot or bike. If you have at least one week to spend in the world-class city of Amsterdam, there are many more great destinations and activities to check out. It doesn’t matter whether your goals are centered on learning more about the culture, or simply sightseeing, shopping, and enjoying the beautiful architecture and countryside, there are many methods of approaching the different places and paths that will increase your level of enjoyment when visiting the area. Regardless of whether you are traveling with business travelers, romantic couples, families with small children, seniors citizens, students, budget travelers, or a group of adventure tourists, there are ample services, activities and accommodations for all. All of that variety equals many options for the great things to see and offers travelers and tourists many ways to get where they want to go in Northern Holland and the city of Amsterdam today. Gorgeous 17th century gable canal houses, stone bridges and many historical stately buildings, make Amsterdam a delight to explore. The best way to get around Amsterdam is probably on foot, as walking will give you the real feel of the city. Trains are good too as Amsterdam has an excellent railway system and its Central Station is located in an old historic building right near the city center. A regular auto taxi will get you around as well, but they can be very expensive. Bicycles are considered by many as the best way to go in Amsterdam and they can be rented at numerous bike shops scattered all around the city. Bikes have their own lanes in the city’s central district with dedicated bicycle traffic lights too. Horse taxis are a slower and more romantic option, but they are slower and can be more expensive than the fleets of simple and inexpensive “Bicycle Taxis " that many tourists enjoy. Amsterdam also has an extensive system of regularly –scheduled trams that are great for shorter, in-city excursions too. If Amsterdam’s Schiphol Airport is your destination, it only takes about 20 minutes to get there by train from central Station, and the train station stop is conveniently located right within the arrival hall, close to the Schiphol Plaza. The ticket machines at the airport are self-service and easy to spot because they are all big yellow cubes located throughout the baggage area and near the escalators for the train platform. A taxi ride from Amsterdam’s main central district to the Schiphol Airport district will only set you back about 40 euro's. The Nine Streets shopping district is located in the Canal District and features dozens of interesting boutique style shops to visit along the streets in that area, but a Canal Tour by canal boat is really the best way to see the awesome architectural buildings and shops along the four main canals of Singel, Prinsengracht, Herengracht, and Keizersgracht. The canal tours run very frequently, almost around the clock in fact, and there is really no need to book a seat in advance. Obviously, the many world-class museums and other historic buildings near the city center are hugely popular with tourists from all over the globe, and any trip to Amsterdam that does not include tours of these famous attractions, as well as the infamous Red Light District, would be almost a total waste of a potentially fantastic trip. Regardless of how you got there and where you want to go, one very good inside tip that many tourists are unaware of is the availability of the I Amsterdam Card. The I Amsterdam Card is basically a pre-paid ticket that gives you free access to many of the city’s most famous attractions, like the Van Gogh Museum, Rijksmuseum, Rembrandthuis Museum, Hermitage Amsterdam and many more. All of the E Cards give you access to unlimited public transport except on the airport train, and the cards also qualify holders for 25% discounts on many popular attractions like Madame Tussauds Museum and the Amsterdam Dungeon. The I AMsterdam Card is available in incremental timed “steps” with the “E33” card being worth 24hrs of discounted and free services, the E44” card gives you 48hrs, and the “E53” is a 72hr card. All of the “E” cards can be ordered online or through your travel agent prior to your trip at iAmsterdam.com.